Hi everyone! I’m Steph from Crafting in the Rain, and I’m so happy to be here as part of Diana’s team! 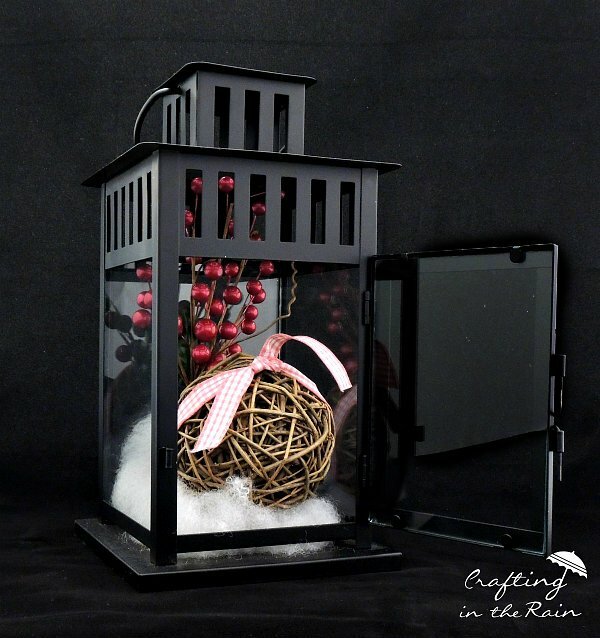 What I’m sharing with you today is how I decorated a little lantern for Valentine’s Day. 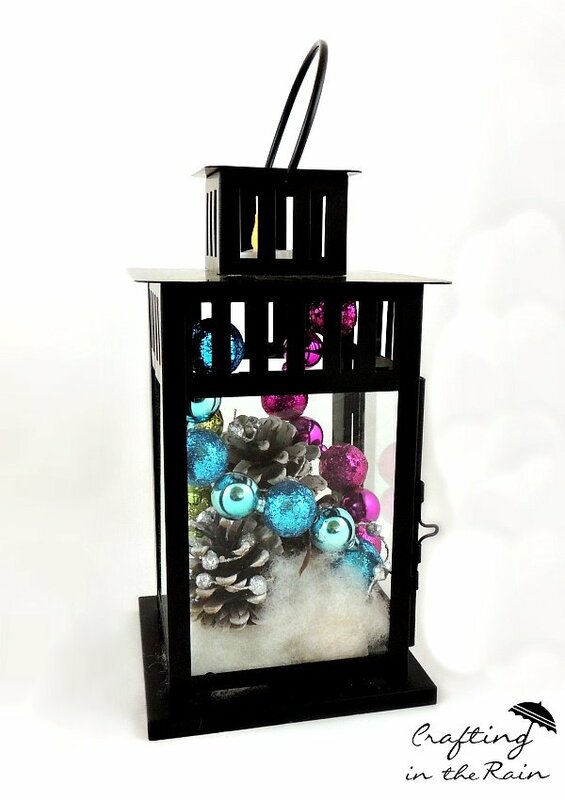 I’ll also tell you what I think it the perfect formula for filling a lantern no matter what holiday or theme you’re going for. Let’s get started. This is a BORRBY lantern from IKEA, and it runs about $8. I first put down some white batting in the bottom. 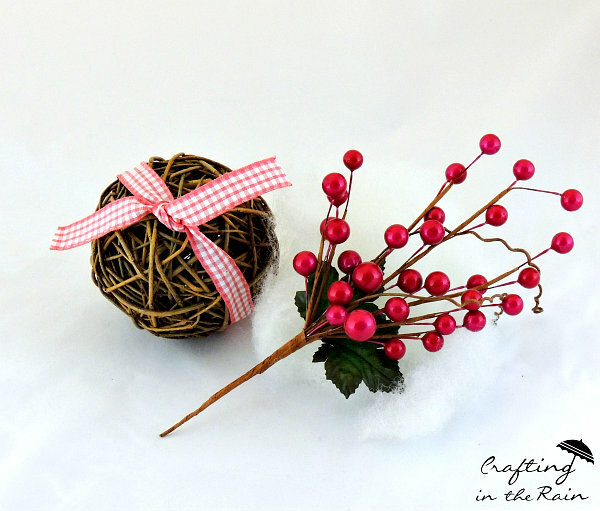 Then I added a twig ball with a pink ribbon tied around it. Finally I put in a pick with fake pink berries left over from Christmas. Easy and cute, a perfect combination, right? Now for the formula you can use, even if you don’t have these exact items. I hope this helps give you some ideas for decorating your mantel or making a centerpiece. What would you, or have you filled a lantern with? If you leave a link I’ll be sure to come check it out. Finally, please click on the little icons below my signature to follow along with everything else I’m up to!